A group of Cambodian NGOs is expected to finalize a counterproposal today to a National As­sembly draft proposal to amend the Constitution and create a Senate. The counterproposal would create a new position for CPP President Chea Sim as head of the Constitutional Council, and discard the idea of creating a new upper house of parliament that the NGOs contend would be costly and undemocratic. 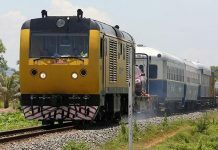 More importantly, the counterproposal would prevent drastic changes in Cambodia’s Consti­tution, NGO representatives said. They see the debate over the Senate as the first major test of the document’s strength and credibility. And in the fate of the Constitution, political experts say, lies the development of the country’s adherence to the rule of law, rather than the rule of power. Legal experts agree that creating an up-to-61-member Senate, which could cost half the As­sembly’s budget, does not violate the Constitution itself. How­ever, the political motives for creating the Senate and the swiftness by which it gained the As­sembly floor have sparked great controversy. Instead of creating an entire Senate, the group of NGOs—which includes think tanks such as the Center for Social Devel­opment, and rights groups such as Adhoc—are pro­posing two new seats be created on the Constitutional Council. Chea Sim would head the council and still serve as head of state when the King is out of the country. The plan to create a Senate, born at a Nov 12-13 summit chaired by King Norodom Siha­nouk, was a political compromise that resolved a months-long deadlock between the CPP and Fun­cinpec by allowing a satisfactory distribution of power. Funcinpec gained the Assembly presidency. 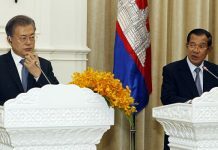 In return, the dominant CPP re­ceived support for party vice president Hun Sen as prime minister and a sufficiently prestigious position for Chea Sim, the former Assembly president. The proposal is currently in committee at the National As­sembly and is pending approval by the Permanent Committee, which would bring it to general Assembly debate. Critics contend the Senate is an expensive institution, which, having been developed without the participation of the Cambodian electorate, could be indifferent to the wishes of Cambodians. Not least, they charge, it also assumes that law is in the thrall of political interests, rather than protecting the welfare of citizens. For Chea Vannath, president of the Center for Social Develop­ment, the idea of changing scores of articles in the Constitution for a Senate was one she wished to avoid dwelling on. “It’s very dangerous, changing the Constitution, because we don’t know what to expect,” she said. Illustrating the seriousness of the matter, on Wednesday, Dieter Umbach, a German constitutional expert who helped write the Russian and South African constitutions, was invited to discuss the Senate proposal with senior Assembly leaders. The discussion lasted six hours, he said. In the beginning, Umbach said, he had the impression the parliamentarians were in a hurry to pass the amendment. How­ever, he said, after discussions of the pros and cons of the Senate, the parliamentarians grew more thoughtful. Whether the new thoughtfulness will mean success in the Assembly for the counterproposal may be another matter. And whether a willingness to consider the counterproposal signifies more respect for law or the As­sembly wishing to consolidate its own power is also unclear. “When I asked how much power they [the Assembly] wanted to give away to the Senate, suddenly the lights went on,” Umbach recalled Thursday. On the other hand, in some political circles, the Senate is non-negotiable because of the Nov 12-13 political agreement. According to Umbach, in a private Tuesday meeting, Prince Ranariddh seemed sympathetic to the difficulties presented by the creation of a Senate. Yet, the prince seemed to feel the mo­mentum would be hard to stop. “[The prince] was clearly under the impression there was an agreement among party leaders, the King, that had to be carried out,” Umbach said. However, Monh Sophan, chairman of the Assembly’s legislative committee that is reviewing the proposed amendment, said Thursday that if the leaders of the two coalition parties think the issue should be re-examined, it would be up to them. Umbach attributed part of the difficulties in resolving the Senate issue to a lack of knowledge and experience. A shallow understanding of legal procedure led lawmakers to assume the Senate could be established first, and then guidelines later, rather than the other way around, he said. “[The Constitution] is not like a traffic law you can easily change,” Umbach said, adding that the distinction had not been clear at first among the parliamentarians he discussed. 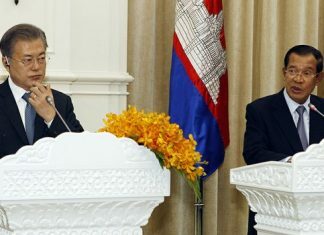 In his three-day stay in Phnom Penh, Umbach said he had no chance to meet Chea Sim, whose need for a high-level position initiated the Senate debate. “I haven’t seen Chea Sim. Someone should ask him, do you really want to cause all those problems? Are you aware of the avalanche you’ve started?” he said.